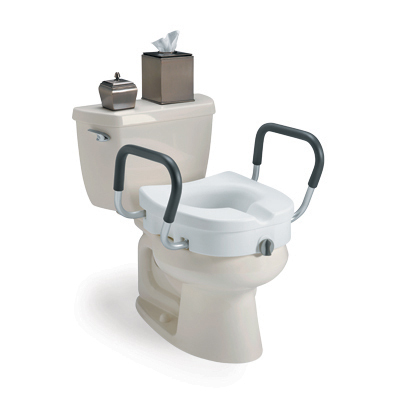 The Clamp-On Raised Toilet Seat from IndeMedical.com raises your existing seat height 5.5". 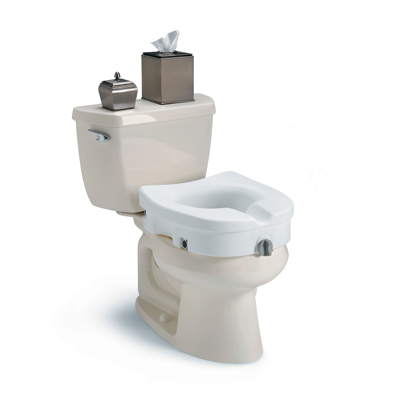 Comfortable and easy-to-clean, the contoured seat features a deep front recess for hygiene. 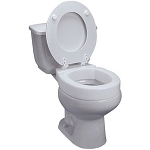 The raised toilet seat easily attaches to most commodes without the use of tools. Simply clamp onto the commode and lock. Rear seat wings provide a more secure attachment while non-skid pads prevent the seat from slipping. Available with our without arms for added stability and comfort.